Of course, savings is a topic to be discussed when considering switching to cloth. I’ve searched all over the internet trying to determine how much money is actually saved when you stop buying paper towels. As is often the case with a topic like this, there’s a different answer from every source. I have seen anywhere from $350 a year to $1,000 a year in savings for a family of four. I guess it really does depend on how often you use the towels. I know that A.S. and A.W. like to use a ”nakkin” for every little thing, and if we were using disposable products, we’d be shelling out mucho dinero each week to Bounty! Again, though, it really comes down to our desire to live a less-wasteful lifestyle. We recycle/reuse as much as possible, and try to model that for the kids. Even making these paper towels themselves is an act of upcycling, which I just love. But we’ll talk about that more later when we discuss the fabrics used to make these. Anyway, I made a set of about 12-15 a little over two years ago from an old bed sheet and a couple towels (that’s the up-cycling part that I love about this project). I paid $1.50 at Goodwill for the old bed sheet and had the towels laying around the house. Not a bad investment for two years plus worth of heavy, heavy, use! (Even at the low-end estimate of savings of $350 a year, I think it’s worth it.) They were brilliant and beautiful to look at, at first. But then when they weren’t as new and crisp as they once were, I started getting lazy with them. I used them to strain our homemade nut milk and ghee. Not a good idea! They turned into greasy, nasty rags. Man, they do look pretty bad! Amazing some of our friends ever returned! It was time to make new ones for sure. And this time, we’ll treat them right! Since we are currently using all of the bed sheets in the house, we took a trip to Goodwill to gather our “pretty side” material. Prices went up in the last 2-3 years! 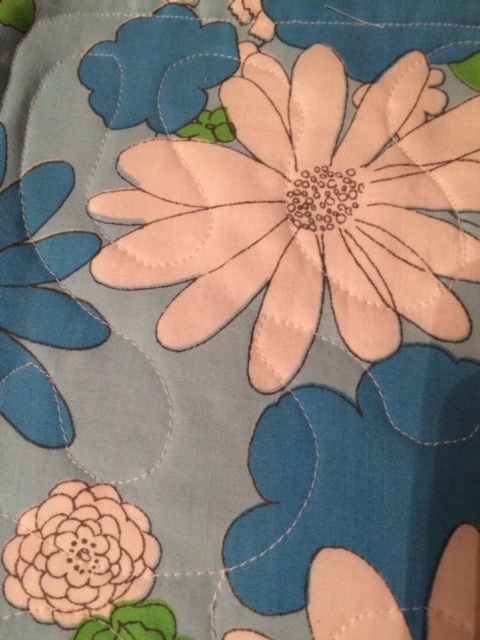 For a fitted twin sheet, I had to shell out $2.99!? Still a good deal, so I went with it. Also, the print was kind of spring-like and fun, something much-needed to get through winter, a season I’m not entirely fond of. Now, friends that sew, these are ridiculously quick and easy to make. Really! I hope you’ll make some and try it out. And friends that don’t sew, keep an eye out. I love hunting for great prints and can’t keep excessive paper towels for myself, so I thought I might consider making a few pretty, decorative sets for the shop. Okay. 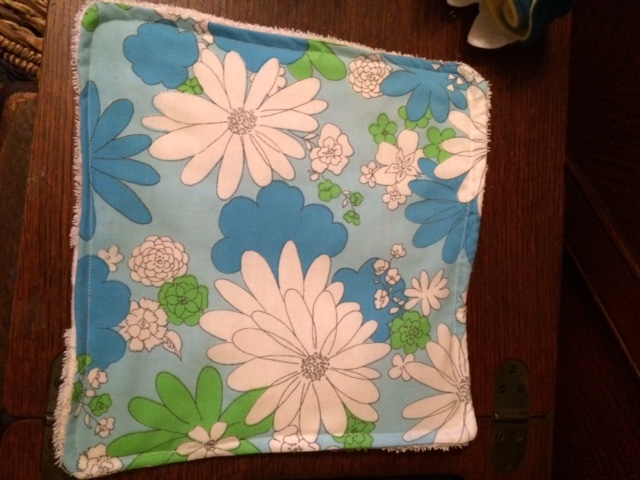 You’ve gathered your materials and you’re ready to rock and roll on making your towels. First, you need to determine the size you would like them to be. 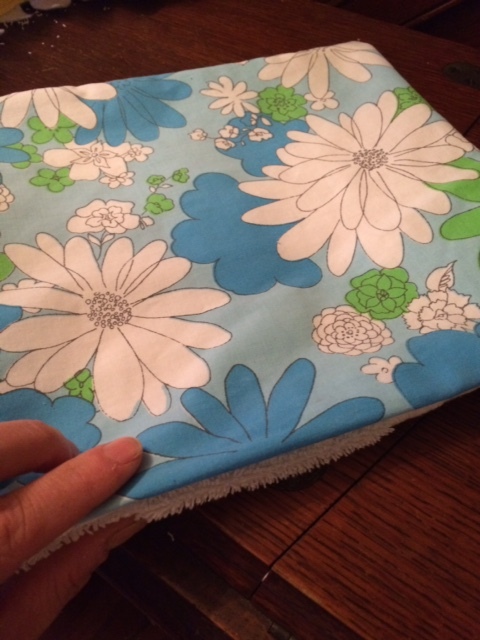 If you have paper towels in the house already and like the size of them, just trace one, adding about a half-inch seam allowance around your perimeter. Pattern? Done! Easy, right? So once you have determined your pattern that you like, you’ll just need to cut out one of each of your fabrics – one terry, one cotton or flannel. 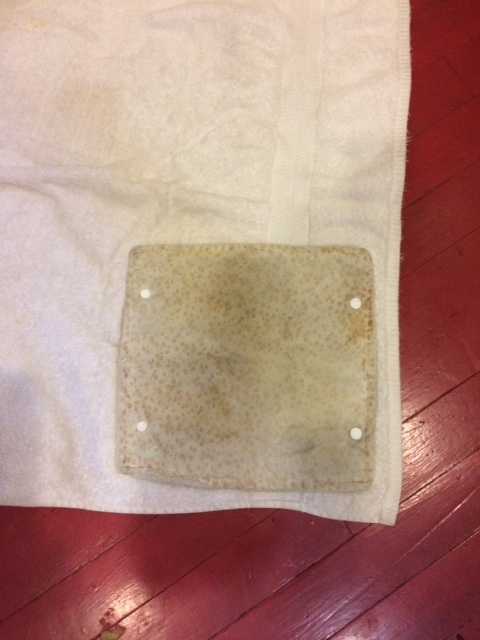 Now you want to sew around the edges of your towel. 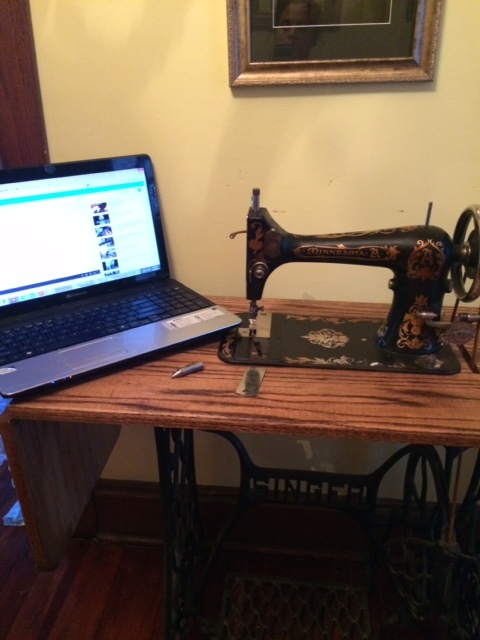 You can sew as close as you like here. 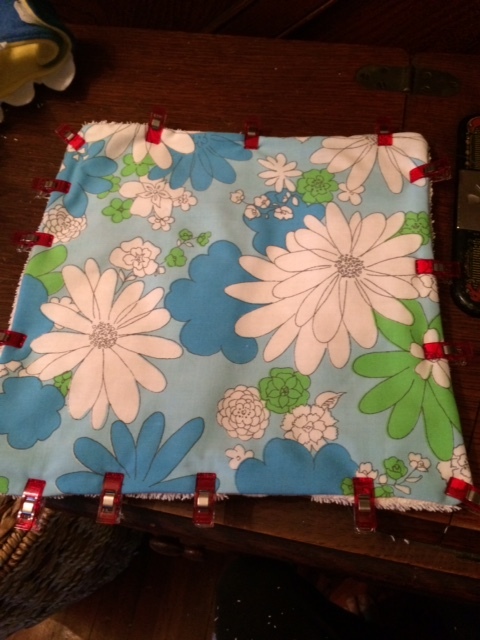 (I sew inside of the Wonder Clips because I’m lazy and don’t cut these with much precision at all! Ha, ha!) Make sure to back-stitch at the beginning and end of your sewing. And if you like the rounded corners, be sure to sew them that way now instead of sewing a straight right-angle at your corners. Now we’re ready to flip right-side out. It’s helpful to use the handle of a spoon or closed scissors to get all of your edges pushed out just right. And now that we’ve got everything turned right-side out, we can go ahead and fold in our turning hole (as shown in picture above) and pin, pin, pin some more. Remember, there’s no such thing as too much pinning. 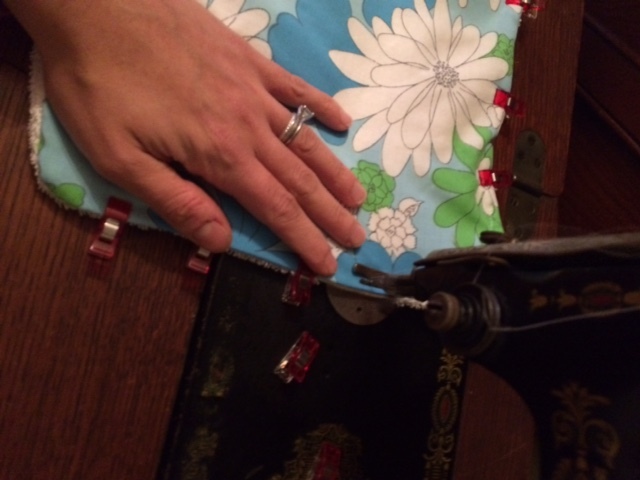 Pinning helps to deter bunching as your sewing, which is a really good thing! 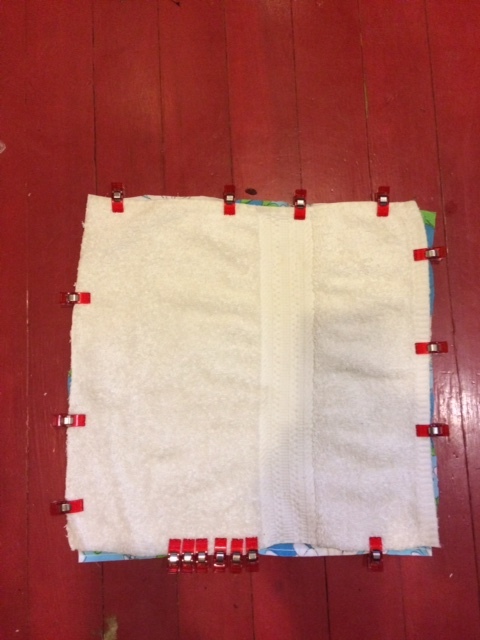 Make sure you back-stitch at the beginning and end, and sew along the perimeter of your towel. You can go as close to the edge as you like, or a little farther is fine as well. As you are sewing, just make sure you’re smoothing your fabric to avoid any puckering or shifting as you remove your pins or clips. Looks pretty good, I think. But why not take it to the next level?! 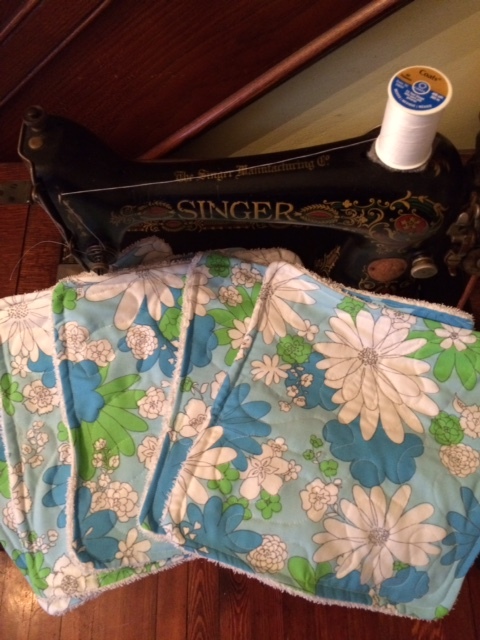 To help your fabrics hold together, and look a little more high-end, it’s nice to do a little quilting at this point. 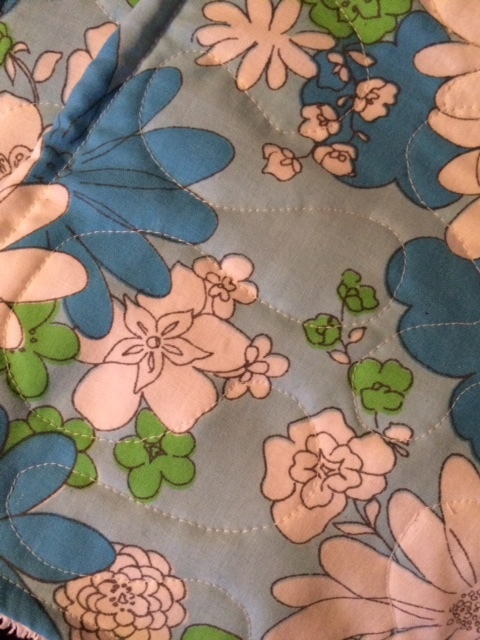 As for quilting, you can do just an “x” or a squiggly line or whatever you like. I’m pretty happy with how they turned out. So far I’ve made five, but I plan to make five or ten more. 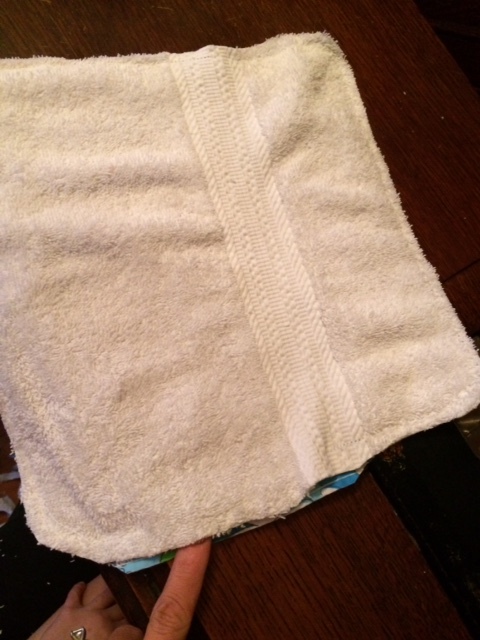 With whatever I have left of the bed sheet, I will make my kids some “nakkins” in a square that’s one-quarter of the size of these towels — the perfect size for little hands. The first set of towels I made, I did install two snaps on either end of the towels so that I could snap them together and put them on a roll. For us, they never ended up on the roll, and the snaps didn’t get used much. It really is personal preference, though. So this time, they will just say stacked until ready to use. My goodness, I have missed creating these tutorials! As always, would love to see photos if you use this tutorial to create! Thanks for sewing with me! < Previous Mystery Pattern and Winner Revealed! Next > We Have Another Pattern to Test! I think paper towels are just sooo wasteful. I do buy them occasionally, maybe a roll every month or two, but I prefer using cloth for clean ups. paper towels. I like your double sided ones, though, much more attractive. I will have to whip a few up soon, some for myself and some for my neighbor. Thanks for the tutorial!